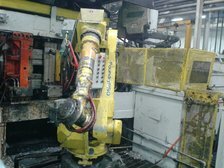 Robotic equipment is, to many of us, amazing “new” technology. But it requires troubleshooting, just as older-technology equipment does. And sometimes, tried-and-true techniques and tools do the job best. 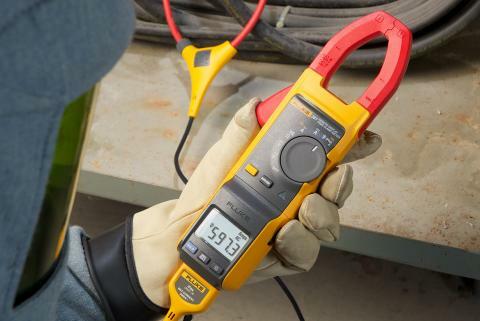 Over the years we've described the Fluke 170 Series digital multimeters as tough, versatile, feature-rich meters for troubleshooting electrical and electronic systems. A recent conversation we had with a technician at the Briggs & Stratton plant in Poplar Bluff, Missouri reminded us just how versatile a troubleshooting tool the Fluke 175 really is. Kenny Doublin, a top-level technician for Briggs & Stratton, joined the company as a machine operator in 1989 and soon worked his way up to technician. Today he troubleshoots a wide range of robotic equipment in the Poplar Bluff plant that manufactures small engines for generators, pumps, and pressure washers. Doublin works in the die cast area, which is divided into 25 cells that each cast small engine parts. All 25 cells run 24 hours day, 7 days a week, with a new part being produced at least every 45 seconds. If one aspect of the process goes down it can delay downstream processes and potentially cause the plant to shut down temporarily. Doublin troubleshoots the electrical and electronic components of the automated equipment, including the programs for the Allen Bradley processors in the die cast machines, trim presses, ladlers, reciprocators, and conveyors. He starts his day around 5:00 a.m., shortly before the shift change, 6=walking through the department looking at the machine monitors and asking the night shift staff about the most pressing problems. "If anything is running out of parameter I'll have the techs work on that," says Doublin. "When I've completed the check of all 25 cells, I come back to any machines that have a problem and work with the engineers to troubleshoot and get the machines back up." 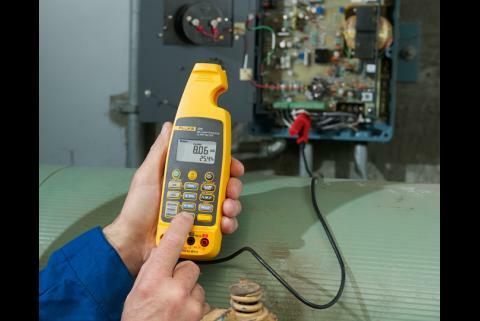 Fluke 175 True RMS Digital Multimeter is the baseline meter for troubleshooting and repair of electrical and electronic systems. His chief troubleshooting tool is the Fluke 175 True RMS Multimeter, which he uses primarily for testing 110 or 480 AC and 24 DC voltage, current, and resistance. "We use the ohms function to double-check fuses," says Doublin. 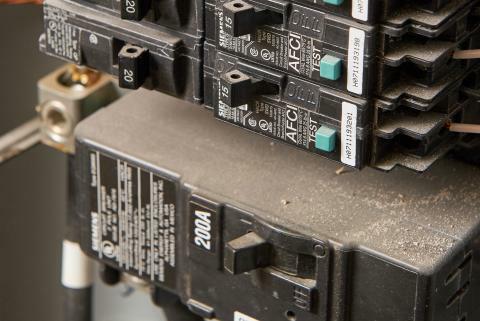 "I'll check voltage across the top terminals and then across the bottom to check fuses. If I suspect one is going bad, I'll pull it and verify it with an ohms reading." In addition to the broad measurement capabilities and accuracy, Doublin chose the 175 for its True RMS feature and because it is safety rated for use in in CAT IV 600V/CAT III 1000V environments. Whether he's troubleshooting loose or broken wires, shorted motors, blown fuses, or bad switches, relays or solenoids, Doublin is able to root out problems quickly with the 175. "I use the 175 for 90 percent of what I do," says Doublin. "With all the different types of equipment and three different brands of robots, trying to keep up with the troubleshooting tasks is a big challenge. The 175 helps me stay on top of all of that." Doublin also uses a Fluke 322 clamp meter to check for amp draw on motors. In one case, Doublin was trying to chase down an open circuit problem on a 24 V DC trim press output. "We used another meter and got a false reading that indicated 10V DC," says Doublin. "Based on the symptoms I was pretty sure the other meter wasn't correct so I brought out my 175, which measured 24V DC on the signal wire. It turned out the problem was a bad relay. We replaced it and solved the problem." 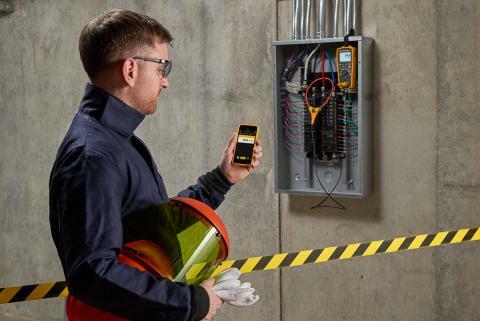 In addition to troubleshooting existing equipment, Doublin also uses the Fluke 175 to check relays for proper operation, incoming voltage, door switches, fuses, transformer output, and processor outputs for wiring new equipment and updating controls. 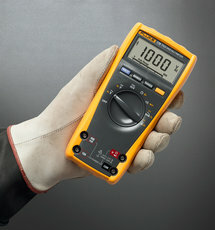 Doublin has used Fluke tools for about 15 years. "I've used other meters, but Fluke meters are more dependable and I get more accurate readings from them," he concludes.